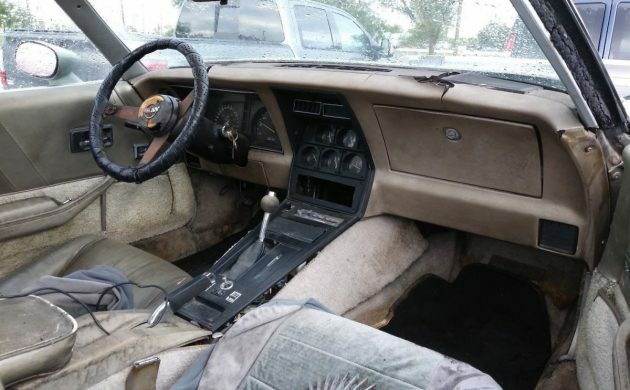 Claimed to be a barn find that still runs, this 1982 Chevy Corvette Collector Edition was a swan song for a body type and frame design that dated back to the 60s. 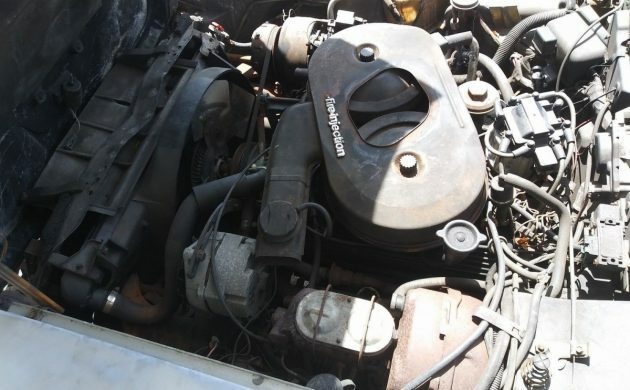 It ran and drove onto the trailer, but the seller notes it has a rough idle and hasn’t brought it up to highway speeds. The body appears to be in the middle of a stalled restoration, and the interior and drivetrain have yet to be touched. Find this Collector Edition, with its turbine wheels and unique rear hatch, here on eBay with a $3,799 Buy-It-Now. $4K seems like a fair price, especially if the seller’s claim that the rough idle is caused by plug wires proves to be correct. The body shows some damage in places, particularly around right rear passenger corner. All glass and T-Tops are said to be in good shape, and the Corvette presents as straight down the sides. Just over 6,000 Collector Editions were made, so while limited in number, they were not especially rare. The two-tone interior is a mixture of earth tones, and needs quite a bit of work. The dash top is destroyed by sun damage and the fabrics overall look filthy. The steering wheel wrap has come undone and the amount of surface rust on the spokes of the steering wheel suggest water intrusion has been an issue. The Corvette is located in Cape Coral, Florida, so damp storage environs is a factor to consider. The new-for-1982 Crossfire fuel injection set-up represented the first time a Corvette used fuel injection in 20 years, and I imagine you’ll find plenty of opinions debating its merits. In the case of this example, the confirmed running/driving condition gives the next owner some mild peace of mind that this Collector Edition car can be brought back to life with relative ease, but the project’s just beginning considering it’s still in need of paint. Is the cheap price cheap enough to justify the project? Im think 1200 for what he paid for it. POS crush it. Sometimes even free would be too much $. 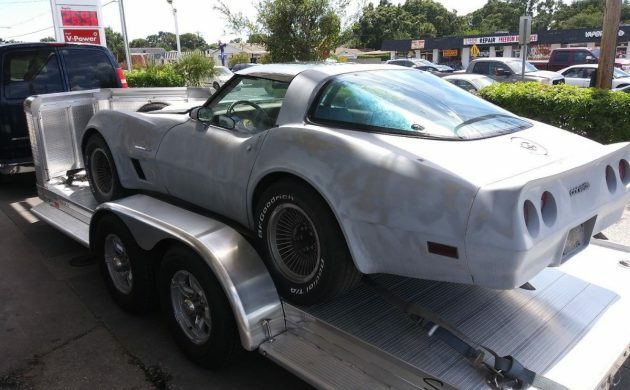 A quick look on eBay at completed sales of 1982 corvettes show several special edition versions that appear to be in much better condition selling for around the same price, $7,000-10,000 will get what appear to be decent drivers. This should be a $1,500 car by comparison. The low entry price, while enticing, is a trap that only beginners or short sighted dreamers will likely buy into. Parts car, unfortunately. 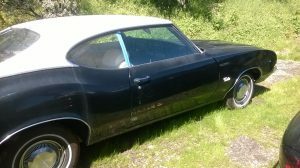 Wheels, T-tops and rear hatch are the unobtainable parts unless someone is parting out. Fortunately I have all those to go with my car that’s for sale! 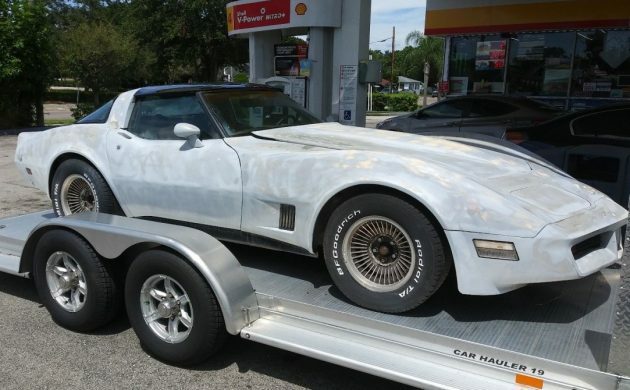 The Collector Edition is a VERY expensive Corvette to restore. Between paint, the unique stripe kit, interior panels, seats, dash, etc. someone will be upside down in this one in no time. Nice CE’s are out there for reasonable money. Go buy a nice original or a restored one. The Collector Edition is a VERY expensive Corvette to restore. 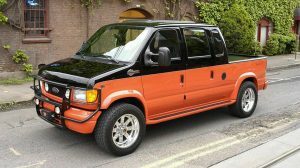 Between paint, the unique stripe kit, interior panels, seats, dash, etc. someone will be upside down in tho sone in no time. 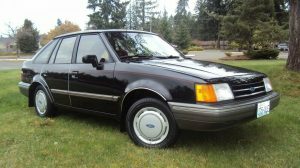 Nice CE’s are out there for reasonable money. Go buy a nice original or a restored one. special edition fancy paint replaced by primer? check. special edition fancy interior replaced by dust? check. 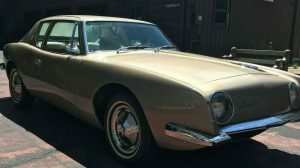 parts car or budget restomod after desirable CE parts are sold off. Can’t blame the owner for not bringing it up to highway speed. That would require a rising sun headband, silk scarf and a shot of saki before strapping in. At current price levels and the fact that these years of C3s aren’t desirable, a parts car is the main use. Try finding and then buying the front and especially the rear OEM molded bumpers, neither are available factory made unless your willing to pay $1000 or more for the rear and $400 to $500 for the front. Non-OEM fiberglass ones are available for a little less not polyurethane and fitment is an issue. Engine and trans possible sale but needs redone . A look at the interior indicates to me that the car has been underwater. Have purchased much nicer for not a lot more $$ than what he’s asking. Good luck. Being basically ignorant of things Corvette – does the rev counter normally sit at just under 1500 with the ignition off? Looking at the T Roofs and remember what my ’79 Trans Am ones were like I’d hazard a guess that where the water ingress is? Certainly the interior seems to have been soaked at some time, possibly in the not too ditant past. So after the initial reaction of “ohhhh – nice” it seems a lot of money getting it back into shape. Some things are just not worth it. Start pricing out interior parts. You would be upside down and possibly in divorce court in a hurry trying to make this a presentable car.